Glossier, a New York-based startup that sells a simple, highly curated line of beauty products, is taking $8.4 million in venture funding to pursue a tried-and-true strategy that many other e-commerce brands like Warby Parker have followed. Basically you take a staid product line, preferably a utility or necessity like eyewear or men’s razors, and then you verticalize production and go purely or primarily online for marketing and distribution under a shiny new brand. That’s in essence what both Warby Parker and Harry’s have done. Now Thrive Capital, the firm that’s backed both of these companies, is leading the round in Glossier. The company, led by Emily Weiss (above), already has a built-in audience. A former styling assistant for Vogue, Weiss broke off and did her own beauty media company called Into The Gloss that reaches 1 million uniques per month. 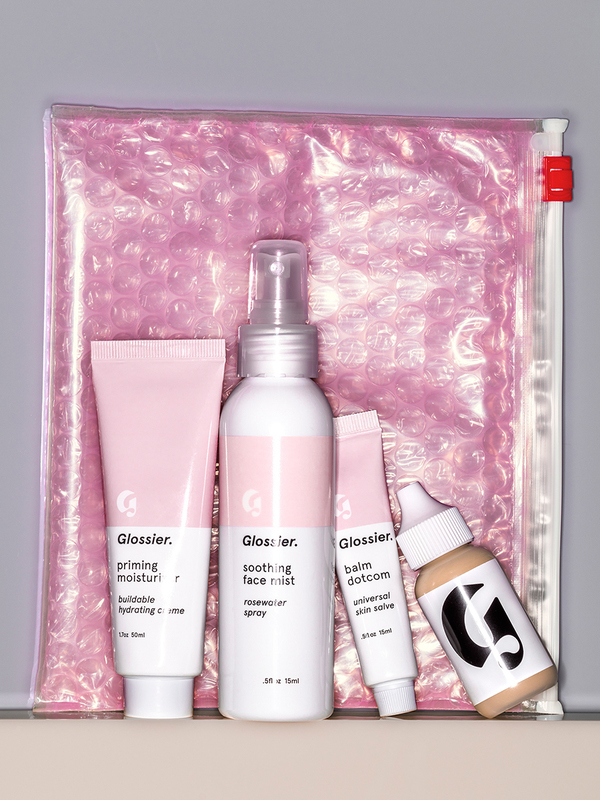 Glossier has what it calls a “Phase One” kit with a soothing face mist, moisturizer, balm and perfecting skin tint cream. They are individually priced anywhere from $12 to $26 and the entire set costs $80. While the company alluded that it will branch out into cosmetics like lipsticks later, they deliberately wanted to keep things simple for now. And even when they do get into things like lipsticks and eyeliners, they’ll focus on producing high-quality basics instead of an expansive range of colors and shades. Also participating in the round are 14W, TOMS Capital, Manzanita Capital, WME, David Tisch, Jay Brown, and Bonobos CEO Andy Dunn, as well as existing investors Forerunner Ventures and Lerer Hippeau Ventures. The startup has 19 people and declined to share sales figures to date.